In Stock, usually ships out next business day. 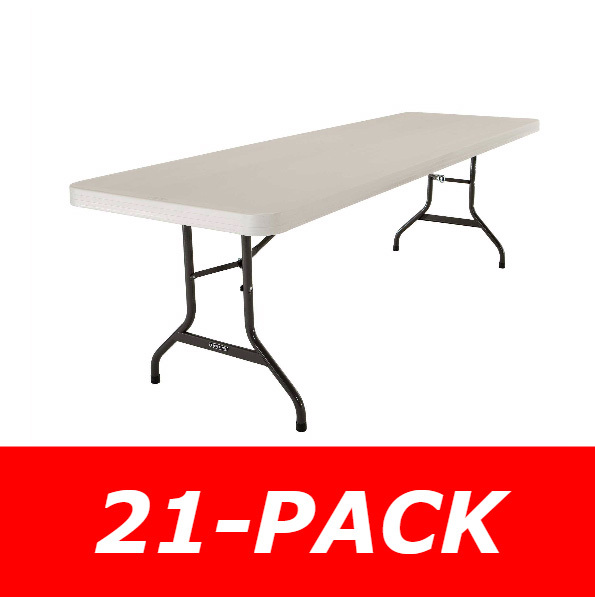 Product: Lifetime Tables - 2984 21 Pack 8 Ft Folding Table with a 96" x 30". Price includes shipping to the continental 48 United States. Almond Molded Regular Eight Foot Top, 1-1 8" Round Bronze Hammer Tone Folding Frame, Indoor Outdoor Use. Great for church and school use. Commonly used for wedding banquets and rental companies for large gatherings. 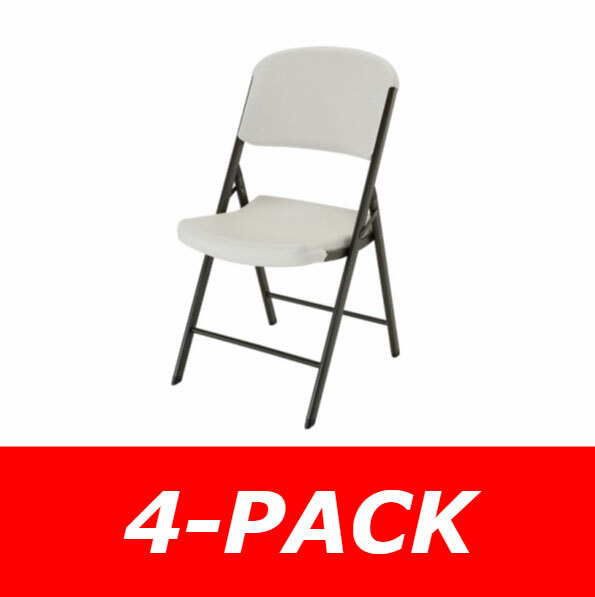 These tables are commercial grade and come with a 30-day money back guarantee if you are not completely satisfied. 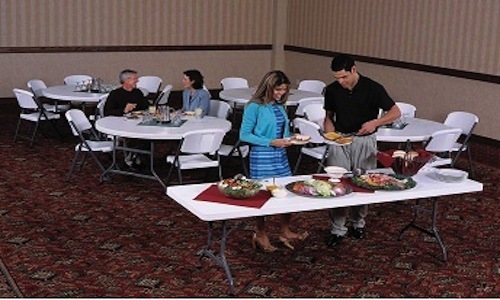 The 2984 Lifetime Folding Tables are Almond colored. Almond refers to a tan-gray color. 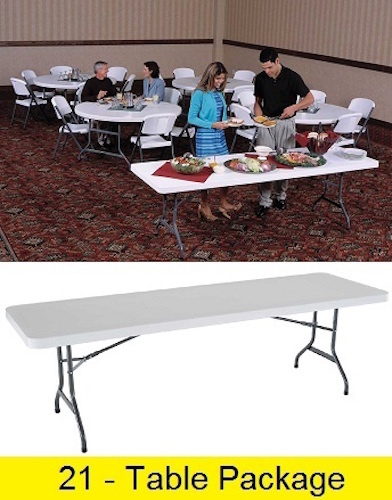 This table matches with the model 2900 6 Ft. banquet tables and the model 2803 Lifetime folding chairs. 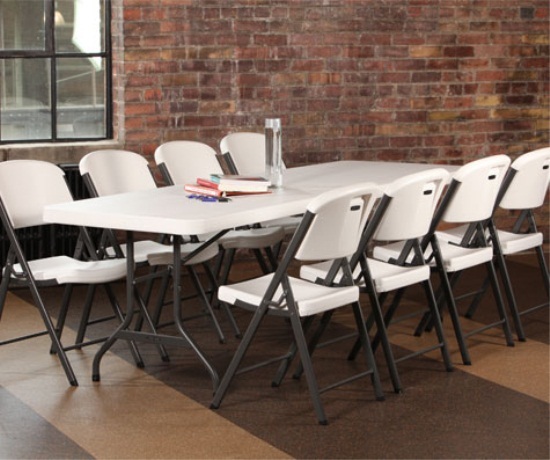 An 8 Ft Table typically seats 8 adults comfortably depending on the intended use. 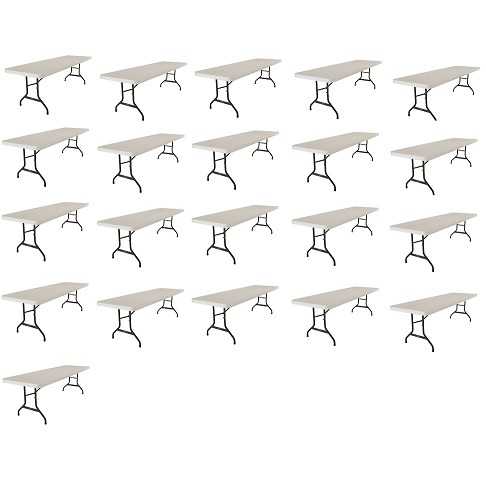 If more space is needed on the table than 2 Ft. long, then fewer adults will be able to be seated. If less space is needed then 2 Ft., then you might be able to fit 2 extra adults on either side of the 30-inch wide portion of the table. These 2984 Almond tables are too large to ship via UPS or FedEx. They ship on a motor freight carrier such as Roadway. 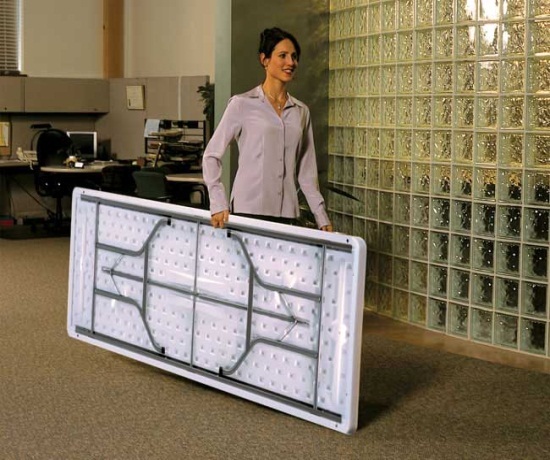 The carrier calls to schedule a delivery appointment as a signature is required. Please note that residential deliveries or locations without a loading dock may require assistance in unloading the tables one by one. 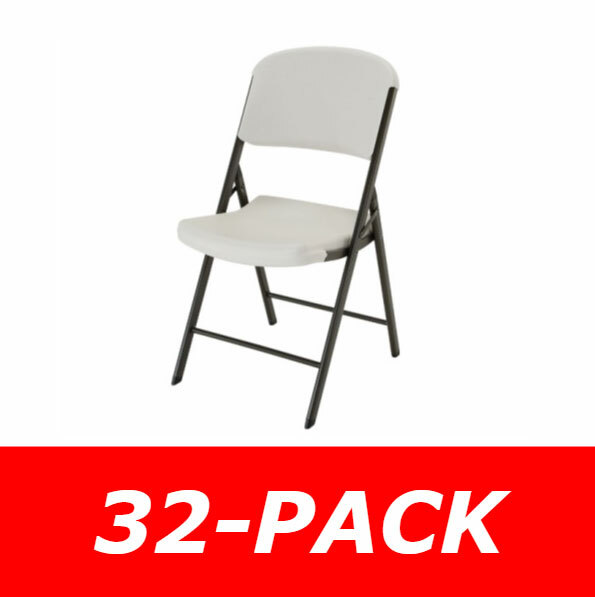 If you only need one table please view model 22984. Just as promised fast delivery will do business with again. Great communication and quick service ... Great service and product! Hassle free ordering, delivered on time, friendly service and would order again from this company. We are delighted with the 8 tables we purchased ... They are so lightweight that we 3 ladies set them up with no problems. No horrible backache the next day! Plus they look so nice compared to our old ones. Gives our church basement a whole new look! Other than some of them being a little dirty, they seemed good. The color is slightly more gray than or last order. 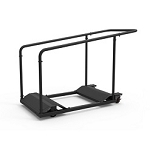 A: This can hold 2,000 lbs of evenly distributed weight. 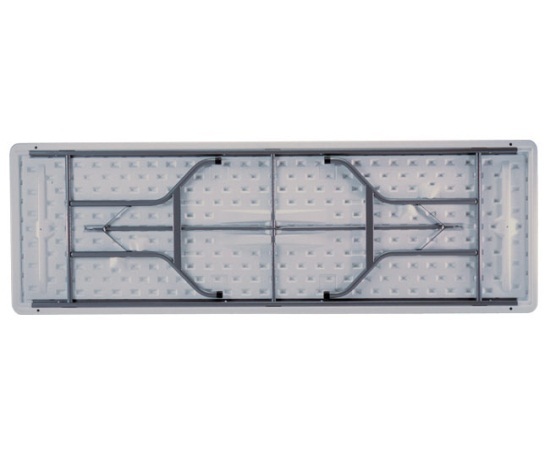 Dimensions: 96" x 53" x 48"